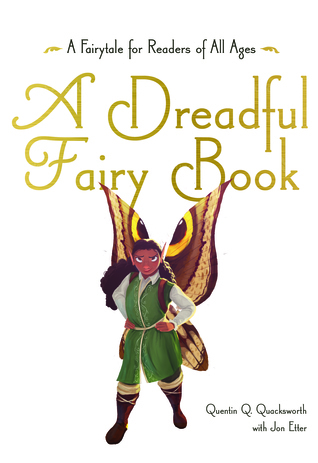 Publisher’s Synopsis: Shade the sprite is dreadful at being the perfect fairy. After her treehouse burns to the ground, Shade embarks on a quest, albeit with rather questionable companions, to find a place her outré self can finally fit in—a place of companionship and comfort and, most importantly, positively filled with books. When fantastic ruffians, swindlers, and a pack of ruthless Unseelie hunters threaten to halt her at every turn, can Shade survive the dreadful journey and find a destination she can truly call home? After her treehouse burns to the ground, Shade the sprite goes off to search for a replacement of her most treasured item: a book that her parents used to read to her. Not to mention she's donezo with the rest of the sprites, mostly because they were responsible for the destruction of her house and her library. I did not blame her one bit for being angry. Shade's never quite fit in with the rest of the sprites. They made fun of her size, her flying abilities, and her love of reading. Once she leaves, she vows never to return. She ventures her way into the unknown, befriending a ragtag motley crew. 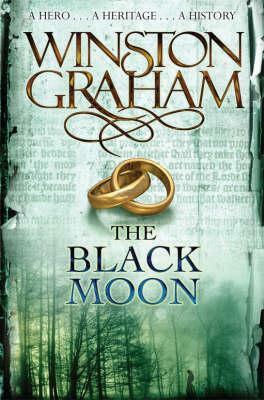 She meets some interesting and some dreadful characters in the search of the book she lost. And if this doesn't have you hooked, let me tell you about the narrator of the story, Quentin Q. Quacksworth. Quacksworth is a reluctant narrator at best. He'd prefer to tell a story in which characters and plots behaved the way they should. I couldn't help feel as if Quentin Quacksworth and Lemony Snicket might have attended the same school for narrators. I love that Shade wasn't your average fairy. She's sassy, independent, and fierce. The only complaint I have is that she was a little heavy on the name calling. Other than that, this book was a joy to read. I hope we might even see more of Shade's adventures in the future. Also, as any bibliophile would, I loved all the bookish references. If you get the chance, then pick up A Dreadful Fairy Book for the fairy enthusiast in your life. It's not your grandma's fairy book. Per FTC guidelines, I work in partnership with The Children’s Book Review and Amberjack Publishing. All opinions expressed are my own and are in no way influenced by this fact. 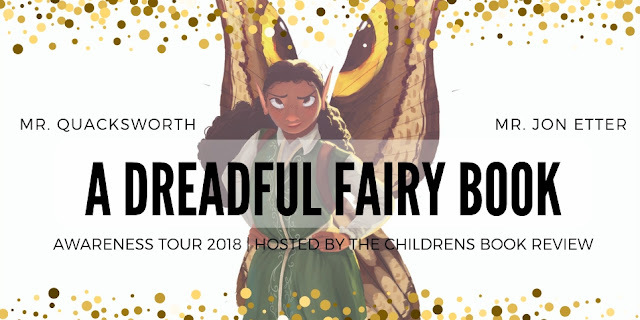 Enter to win a copy of A Dreadful Fairy Book by Jon Etter! Giveaway begins November 13, 2018, at 12:01 A.M. PST and ends December , 2018, at 11:59 P.M. PST. Amberjack Publishing is responsible for prize fulfillment. A great read for the grandkids. Thanks for the opportunity.